Christopher D. Yung, “Sinica Rules the Waves? The People’s Liberation Army Navy’s Power Projection and Anti-Access/Area Denial Lessons from the Falklands/Malvinas Conflict,” in Andrew Scobell, David Lai, and Roy Kamphausen, eds., Chinese Lessons From Other Peoples’ Wars (Carlisle, PA: Army War College Strategic Studies Institute and National Bureau of Asian Research, 2011), 75-114. 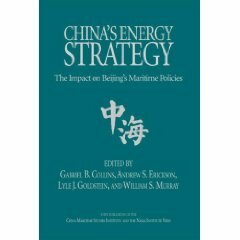 Introduction, p. 22: Chinese strategic planners place a high priority on an accurate pre-conflict strategic assessment; indeed a singular criticism of Argentina in the Falklands/Malvinas was that Buenos Aires failed to conduct a comprehensive strategic assessment in the run-up to its own actions that precipitated the conflict. 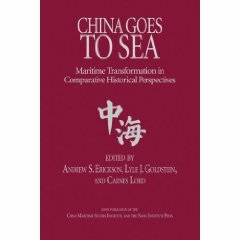 This chapter examines the lessons the Chinese military has drawn from the Falklands/Malvinas conflict of 1982 and applied (doctrinally, operationally, and in terms of procurement) to the expected contingencies of Taiwan and an “Out of Area” maritime campaign. • Owing to their applicability to China’s defense of the “Near Seas,” the Chinese military are likely to continue procuring or developing into a mature capability diesel-electric submarines, modern surface combatants, land-based and sea-based maritime strike aircraft, anti-ship cruise missiles, anti-ship ballistic missiles, and maritime surveillance capabilities to track and target ships at sea. • Owing to their applicability to China’s “Out of Area” maritime campaigns, the Chinese military are likely to continue procuring or developing L-class amphibious ships, aircraft carrier capabilities, nuclear attack submarines, aerial refueling capabilities, anreplenishment ships. • Operationally, the People’s Liberation Army (PLA) will continue participating in exercises that stress combined arms ground-sea-air operations; amphibious operations; coordination among surface combatants, air forces, and subsurface forces; command and control of forces afloat, in the air, and ashore; and a combination of general purpose forces with ballistic missiles and other Second Artillery forces. 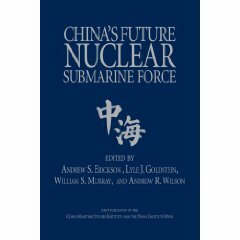 See also Lyle Goldstein, “China’s Falklands Lessons,” Survival 50.3 (June 2008): 65-82. 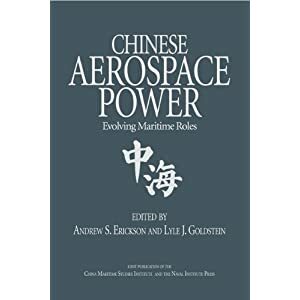 For full text of the chapter cited, see Andrew S. Erickson, “Chinese Sea Power in Action: the Counter-Piracy Mission in the Gulf of Aden and Beyond,” in Roy Kamphausen, David Lai, and Andrew Scobell, eds., The PLA at Home and Abroad: Assessing the Operational Capabilities of China’s Military (Carlisle, PA: U.S. Army War College and National Bureau of Asian Research, 2010), 295-376.